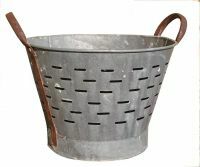 ﻿ Soaphia - Find Vintage, Collecitible, Roman Byzantine Replicas, Rare and Found Items for Sale. 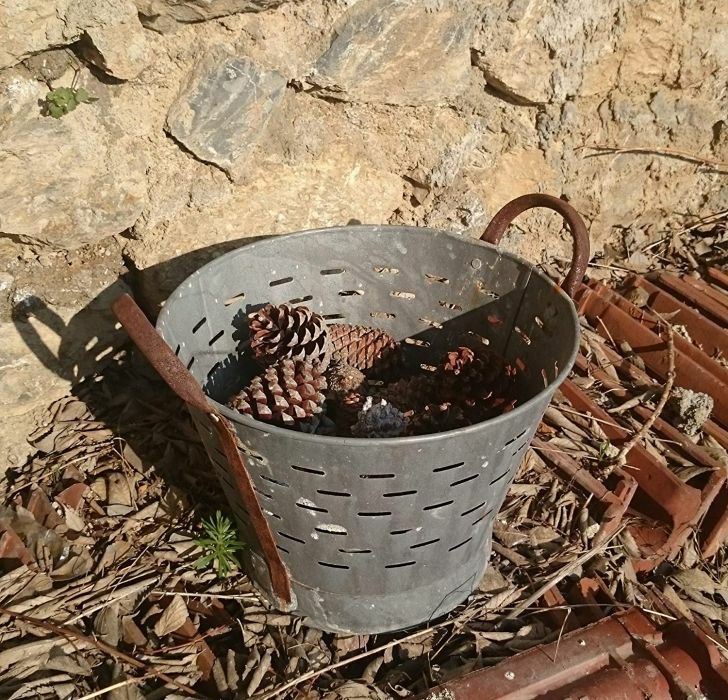 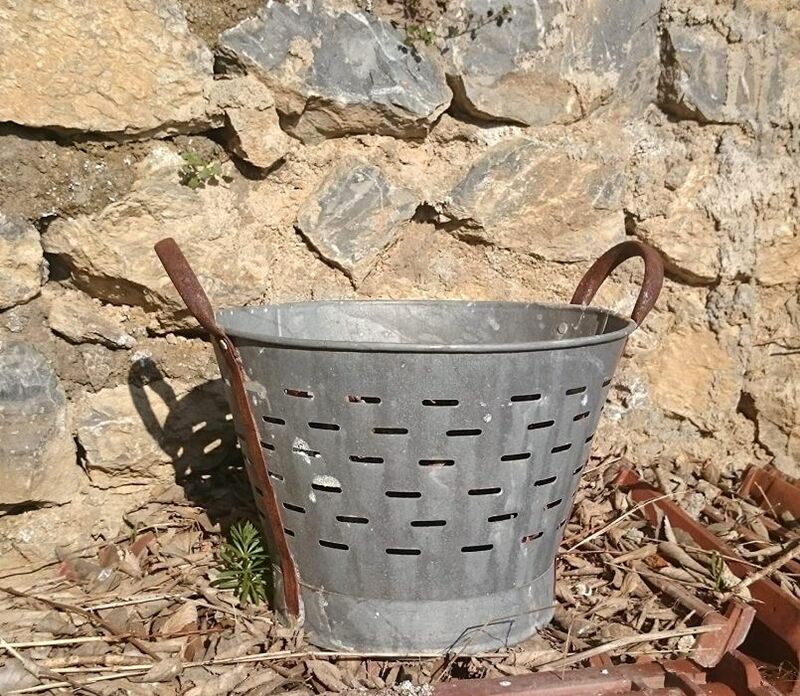 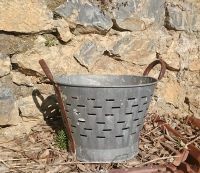 These authentic found metal buckets were used for years to harvest olives along the mediterranean sea in Europe. 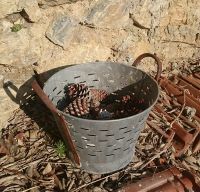 They were used for picking and washing olives during harvests. There is dust and wear in it. 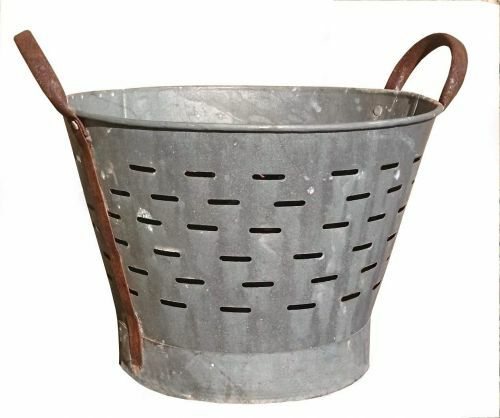 And due to usage there may be ripples and dings.